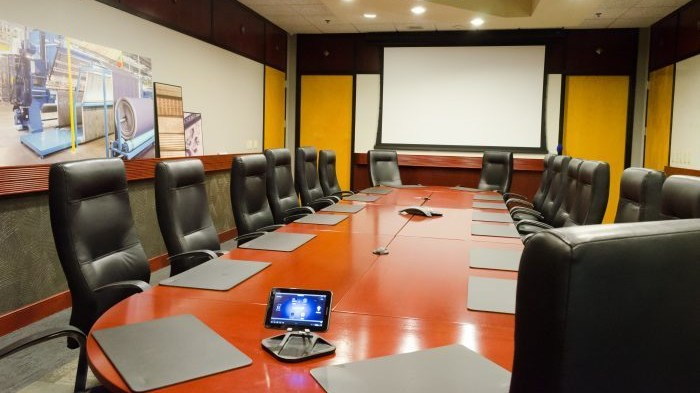 Many corporate projects that we work on are upgrades to existing office spaces. A great example of that can be found here. Sometimes, though, we get to be involved in the total transformation of a space from scratch. 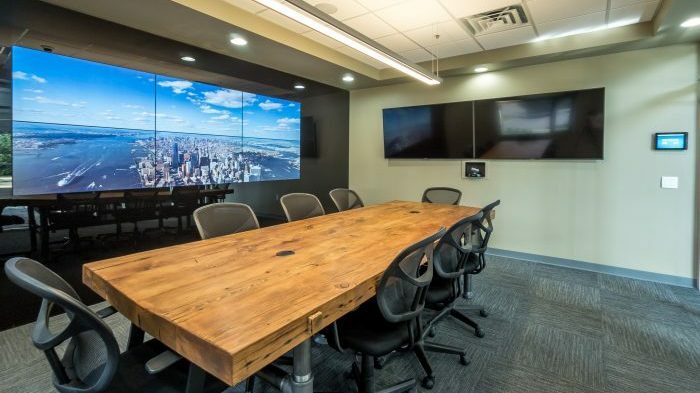 So when one of our customers approached us wanting to add a boardroom to his business, we got to see, and participate in, the creation of a really elegant new space for his company. 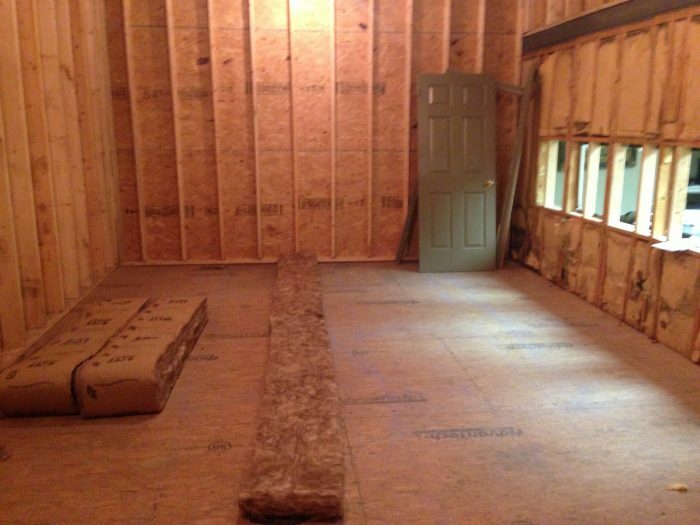 As you can see, the room really was nothing more than four walls in the beginning. 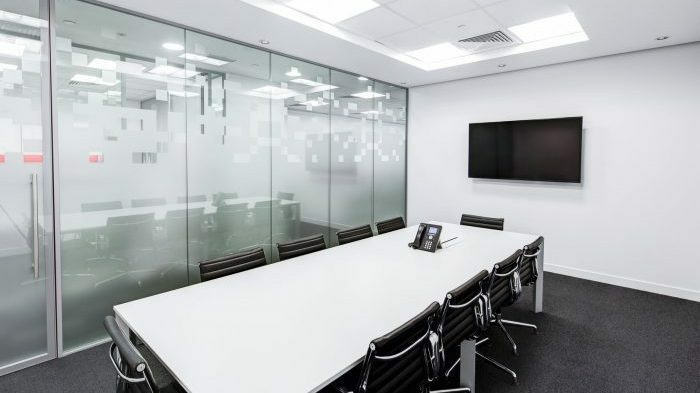 The customer’s goals for the room were that it needed to function as both the location for internal meetings, as well as host potential clients, so it needed to impress. Since this customer was already a residential client of ours, we used a Control4 processor, as he was already familiar and comfortable with using Control4 in his home. 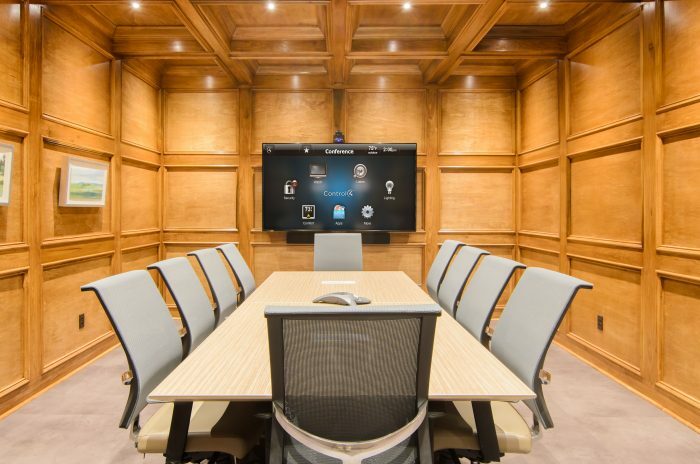 The other preferences were that we use a TV for presentations instead of projection, and that we not impose on the clean, refined look of the coffered ceiling and walls. To achieve this, we decided to forgo in-ceiling speakers and went with a soundbar below the TV instead. The other way we maintained the look is by putting the equipment rack in another room so as not to disrupt the overall aesthetic. 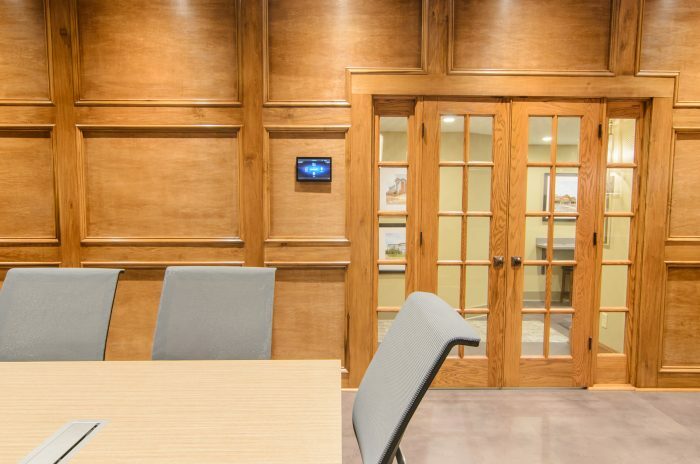 A Control4 10″ touchscreen was placed on the wall as you enter for controlling many functions of the room. For managing the room from the table, a Control4 SR-260 remote control was employed. A convenience table box was added to keep VGA and HDMI cables neatly organized and quickly located. 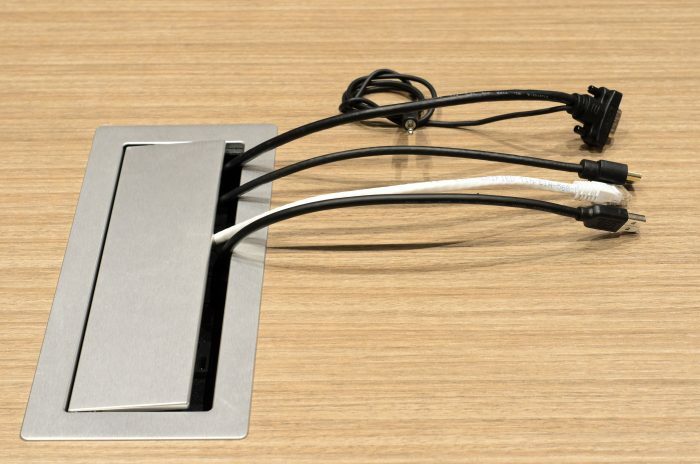 A Nearus USB camera was placed on top of 80″ Sharp TV for video conferencing. 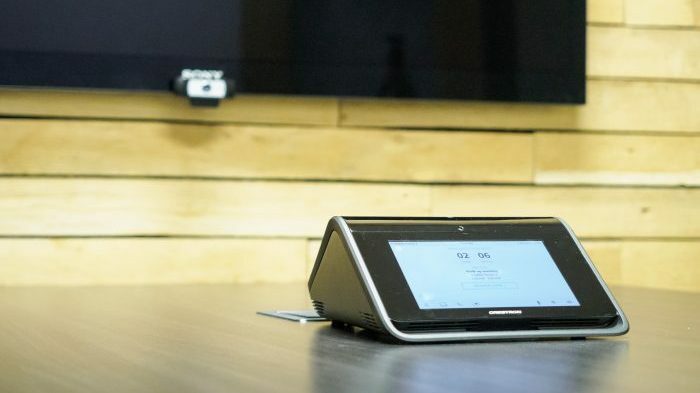 The camera uses Skype to communicate with the company’s other offices around the region. We also put a wePresent wireless presentation system in the rack. As I mentioned in the beginning, an Episode soundbar was put into place underneath the TV to provide ample sound to the room while maintaining its clean look. Finally, integrated lighting controls were installed, as well as a motion sensor, so the lights turn on as you enter the room. In the end, our customer achieved the sophisticated look he was hoping for and allowed us to incorporate technological features that made the room, not only classic, but forward thinking as well. Noah is the Director of Engineering & Sales at Smart Systems. He has been with the company since 2006. Noah lives in Chattanooga with his wife and two sons.